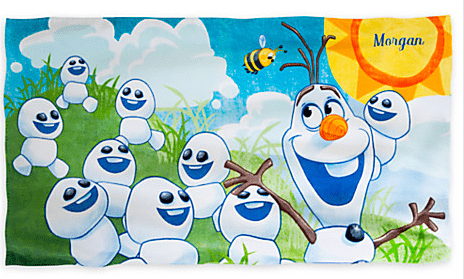 Disney Personalized Character Beach Towels for as low as $6.99 with Disney Store Promo Code! The Disney Store Promo Code for Personalization for just $1! 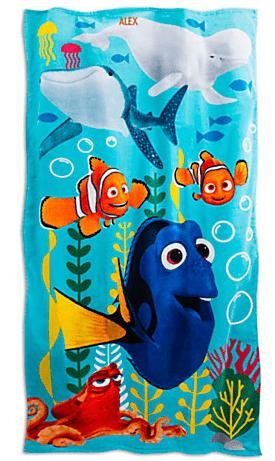 The Disney Store is having a sale on character beach towels, starting at just $5.99 ea right now (regularly up to $16.50). You can then also add personalization for just $1 (regularly $5.95) with promo code DOLLARPZ today only. Shipping starts at $5.95 of you can get free shipping if you spend $75 or more. Just use the coupon code: SHIPMAGIC at checkout. That means you can get a personalized beach towel for as low as $6.99. Shipping should be around $4.95. If you spend $75 or more, then you’ll get FREE shipping with the coupon code: SHIPMAGIC . *The $1 personalization is only going on today, 8/2/16 only! You can also get personalization for $1 for backpacks, rolling backpacks, clothing, ornaments & more! There are also other items included in this personalization sale such as backpacks, rolling backpacks, clothing items, & more! They Are Very Nice And The Girls Just Love Them!